Roseanne Barr promised the new Roseanne reboot would not be about Donald Trump. She did not promise that the Conners wouldn’t be Trump supporters, so now they are. Of course. 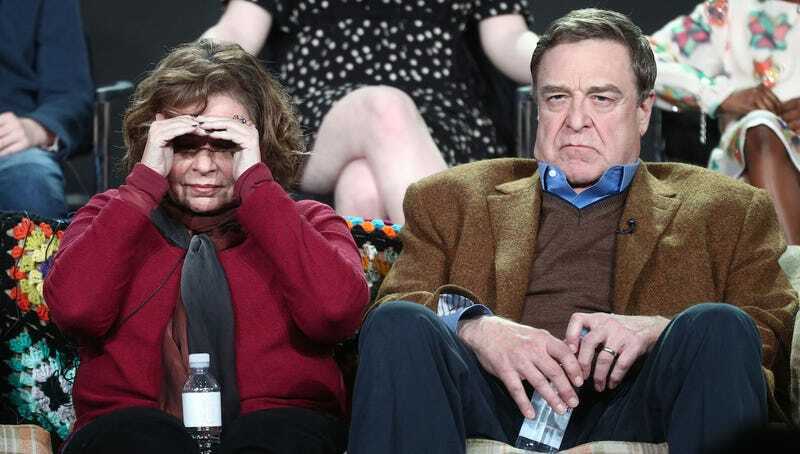 “In The Rosanne Show, I’ve always tried to have it be a true reflection of the society we live in. I feel like half the people voted for Trump and half didn’t, so it’s just realistic,” she said, adding that she’s tried to make the show a realistic portrayal of the working class, in particular. Did working class people elect Trump? No. Most of his base was affluent white people, much like Roseanne Barr is an affluent white person at this point in her life. We shall see if that reality is addressed in the series. Fun press tour! Understanding Trump supporters is boring well-tread ground already, fictionalizing it doesn’t seem much more interesting. But it might at least make for extremely awkward viewing.